As part of Plymouth Enterprise Week, Formation Zone will be opening its doors to the public on 15 November. As part of Plymouth Enterprise Week, Formation Zone will be opening its doors to the public on 15 November. Join us from 3pm – 5pm to find out more about business incubation and how it can help you and your start-up to succeed. 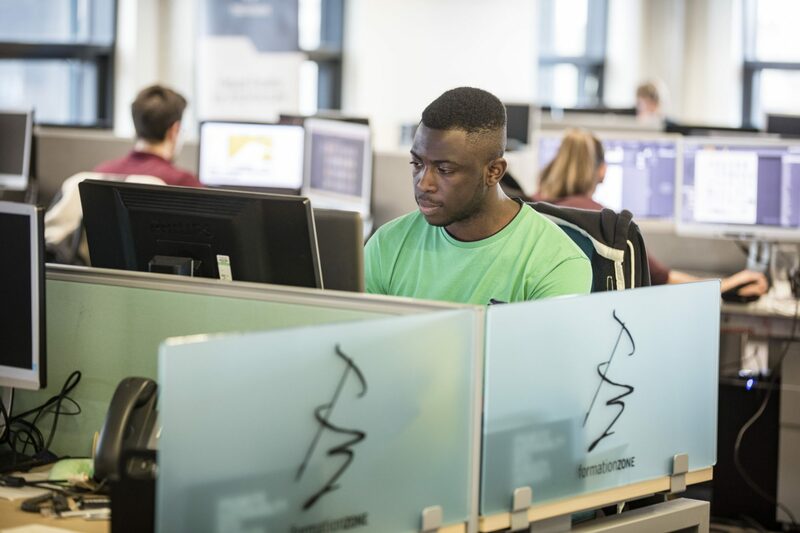 The Formation Zone, Plymouth University’s award-winning incubator, has a ten-year track record of supporting innovative businesses to thrive and grow. Based on the City Centre campus, it is not just for students but for anyone with an innovative business idea. Our Introduction to Incubation will give you the opportunity to find out more about how an incubator can support your business, and how it can be the difference between success and failure. You will also have an opportunity to take a look around Formation Zone and meet some of our current clients. Parking is restricted on the University campus, so please make use of the car parks in the City Centre. If you require on campus parking to ensure the event is accessible to you, please email formationzone@plymouth.ac.uk. Refreshments will be provided. To sign up for your free tickets, visit our event page here.